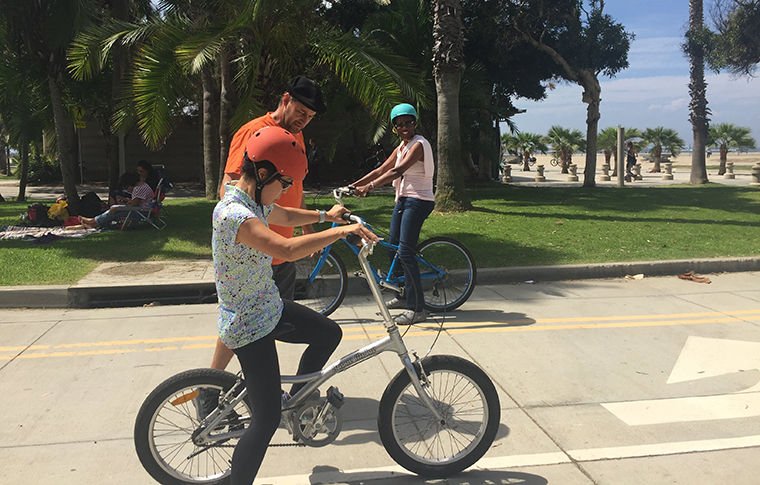 CHECK OUT OUR BIKE ED CLASSES! The Bike Center has partnered with Sustainable Streets to offer bicycle safety education and encouragement programs to get more people riding. All bike education courses are taught by League of American Bicyclists certified League Cycling Instructors. The curriculum is designed and delivered by bicycling experts who not only teach the fundamentals, but also have a wealth of personal knowledge to share on all aspects of bicycling for transportation, work, fitness and fun. 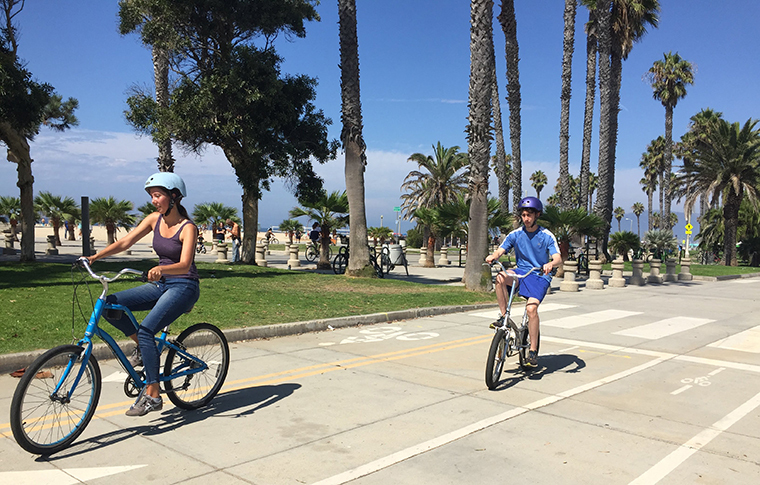 Whether you are an experienced commuter, an avid club rider, or have not ridden a bike in years, the courses we offer will help you increase your knowledge, skill and confidence when riding a bike in the Los Angeles area. Please click on a link below for more information about individual programs and to register for an upcoming class. This practical hands-on learn to ride class for adults age 18 and up will get you rolling in no time. 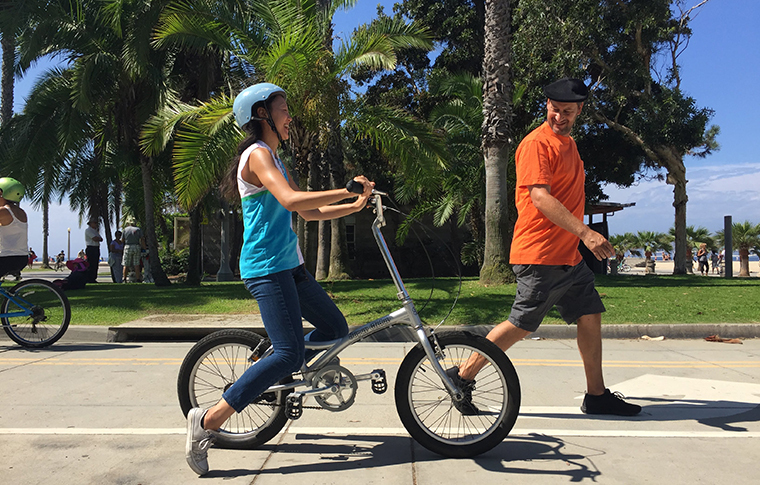 Our certified bicycle instructors create a fun low-stress environment to help you learn the basics of balancing and pedaling before moving on to more advanced skills. If you already know how to balance and pedal we can adapt the curriculum to your individual skill level. Beginners do not need any previous riding experience, only a willingness to learn and the physical ability to control a two wheeled bicycle. This class costs $20 and includes a bicycle and helmet. Ready to Ride is a 3-hour intermediate level class for people who are interested in riding a bike for daily trips, but are concerned about safety and unsure about how to get started. 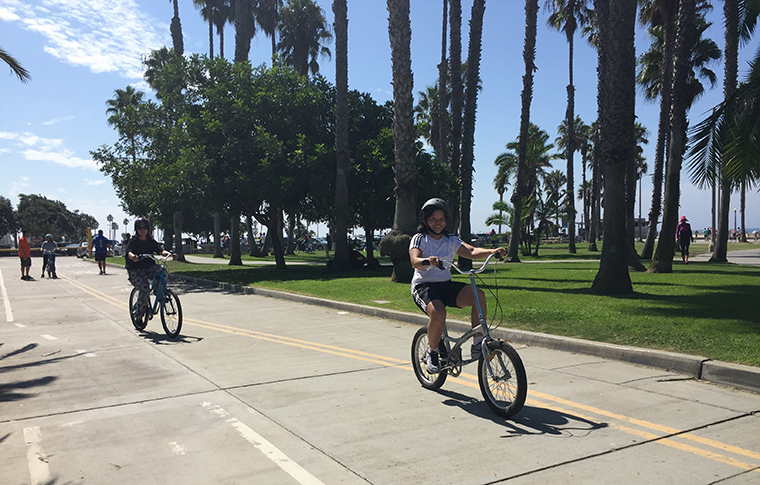 Participants must be confident balancing, pedaling and steering a two-wheeled bicycle, from this foundation we will teach you the basic skills for riding a bike to reach any destination. You will learn what you need to know to enjoy riding on city streets. More advanced cyclists who ride regularly for commuting and transportation should take our Confident City Cycling course. Many people are intimidated and discouraged by the way motorists dominate the roadway. 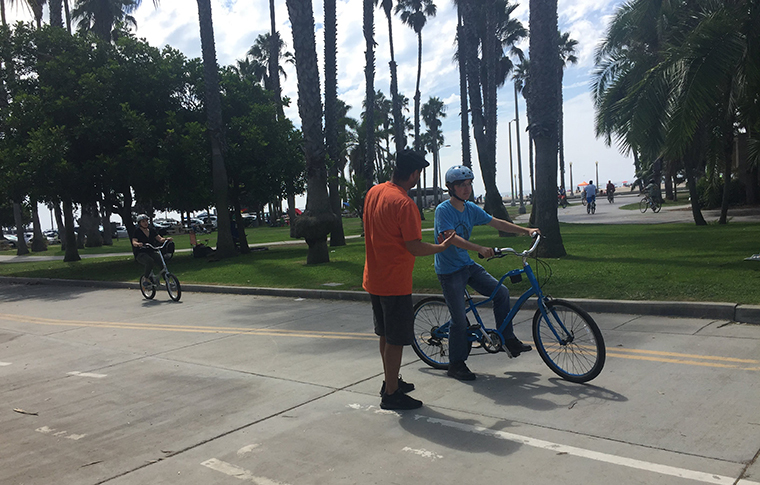 Through education and practice, Confident City Cycling teaches the basic fundamentals of safe riding to improve your decision making in traffic and to build your confidence when riding a bicycle on city streets. – Understand your rights and duties as a driver operating a bicycle safely and legally on public roadways. – Develop the ability to identify unsafe traffic situations and make decisions that can prevent common crashes and collisions. – Learn how to perform a pre-ride bike safety check. The course includes a student manual, review of state and local laws, on-bike skill development, and additional tools to help you become a more confident and smart cyclist on the roadway. This class costs $30; participants should bring their own bike and helmet. Beginners and DIY enthusiasts alike will learn a range of skills from our experienced mechanics. Participants can expect to take away a broad understanding of bicycles and learn how to adjust components for optimum performance. This class costs $20.